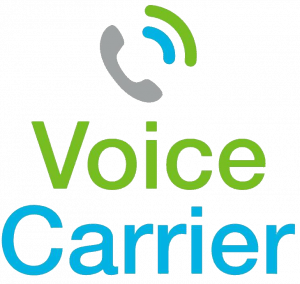 Voice Carrier is a business phone system provider that operates both in-the-cloud or on-premise. Users can choose from 5,000 to 10,000 minutes per month for incoming, outgoing, local, long distance, and conference calls. There weren’t a lot of Voice Carrier reviews available online, but the ones we found were generally positive. A user who left a positive review of Voice Carrier on Facebook commended the system for being affordable, stable, and reliable. He said that it conveniently allows him to make calls from both his desktop and mobile device. He shared that he considers it a reliable partner to grow his business even when he’s away. A user who left a negative review of Voice Carrier on Facebook said that there were times when they could hear their own voices echoing back while on the phone with a customer. According to him, instances like these cause some inconvenience as they have to end and redial calls. Voice Carrier doesn’t publish rates on their website. You need to contact support to get specific pricing details based on your business requirements. Software similar to Voice Carrier can cost between $20/month (for basic software) and $1,000/month (for more advanced applications). The system delivers services via traditional phones, mobile, wireless, and cable networks. What is the maximum call allocation per month? 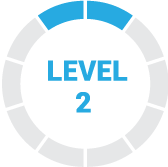 Voice Carrier offers two types of consumable call allocations: up to 5,000 minutes per month or up to 10,000 minutes per month. These can be used for incoming, outgoing, local, long distance, and conference calls. Can Voice Carrier backup the call history? Yes. Voice Carrier provides businesses with four backup systems and two servers. These servers are located in two bi-coastal geographic locations. In case of untoward incidents like calamities, numbers automatically reroute to another location or to employee mobile phones. Can Voice Carrier users customize their numbers? Yes. Users can choose the number that they would like to appear on the recipient’s phone. This helps customers quickly recognize calls from specific companies. This video shows how Voice Carrier can help businesses improve their overall business communication system. Not sure if Voice Carrier is the right fit for you? Read our reviews of all top VoIP service providers. Ease of use and variety of features. We manage a couple different businesses in our office and can easily route route incoming calls to individual extensions and very easily transfer calls in house between any phone or to someone’s cell if they are away from the office. We’ve had an issue of our voicemail greeting reset itself. Not sure what that was about, but it was easily fixed in minutes.